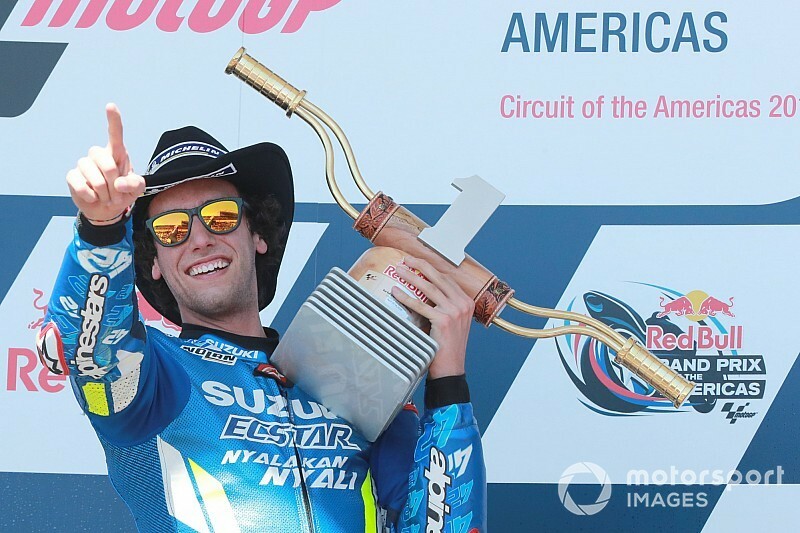 Rins outduelled Rossi in the closing stages of Sunday's Circuit of the Americas race to score his first win in the premier class, and Suzuki's first triumph since the 2016 British Grand Prix. With Marc Marquez crashing out of the lead, Rins now finds himself third in the championship standings, only five points behind new leader Andrea Dovizioso. 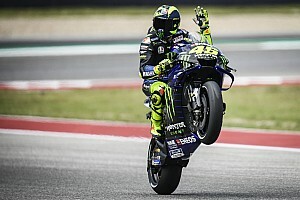 Asked whether he saw Rins as a possible title rival, Rossi acknowledged the Spaniard's upturn in form since the second part of the 2018 campaign, which Rins concluded with three podium finishes. 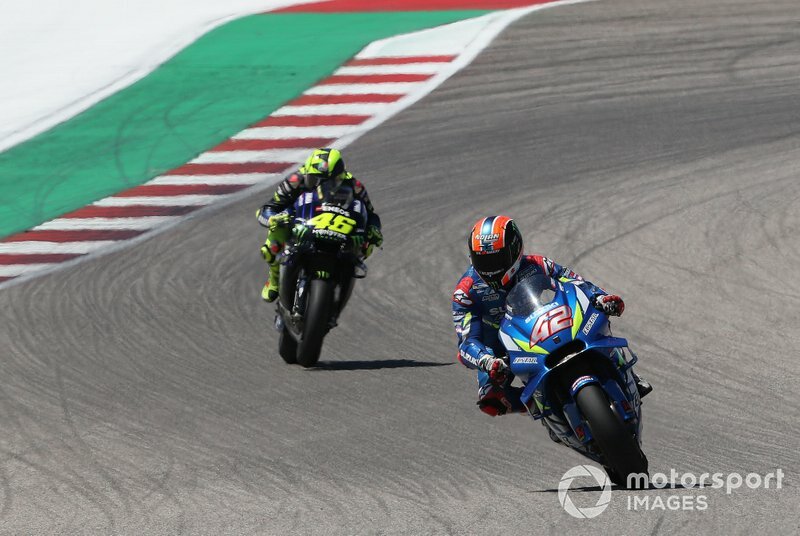 "I think [of him] for sure as an opponent for the title, because it’s not one race, he was strong in the second part of last season," said Rossi of Rins. "He is always in front. "He’s always fast in the race, even if he sometimes struggles practice. 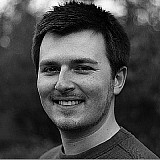 I’m happy for this, because I’m more or less in the same boat! "He rides in a clever way, he’s very smooth with everything, this is very important for save the tyre in the second half of the race. He’s always strong. He’s very difficult to beat." 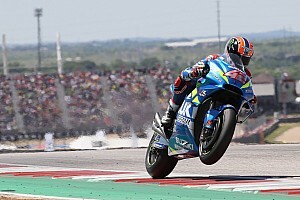 Third-place finisher Jack Miller likewise said he feels Rins can challenge for top honours this season, pointing out the Suzuki rider's Rossi-like tendency to rebound from average showings in qualifying come race day. "He has a little bit opposite of my problem," said Miller. 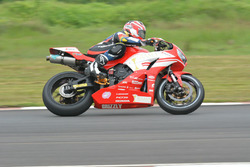 "I am always there in qualifying and seem to struggle in the race. He is the other way around, we can see today if he gets a decent qualifying position he is able to challenge, no matter what. "Every time I sit down with the team, make a debrief, we always say Rins and Valentino are gonna be there in the race, doesn't matter where they qualify. You know they’re gonna be there. "I think the Suzuki is working really well at the moment. We had a great battle in Argentina and I was able to see some things, also today when he came past me he clicked up a gear. He saw Marc go down I feel, and then he put the red rag to the bull, he took off. 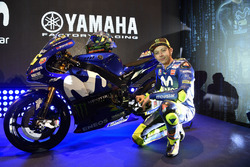 "Big congratulations to him and I think this is just the start of something for him and for Suzuki." Rins himself acknowledged a title bid as a possibility if Suzuki maintains its form. "The results are showing [this]," he said. "If we continue at this level we will see. We do not rule out anything, now we come to Europe and there we are strong."